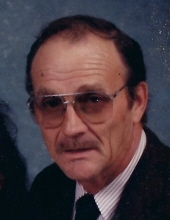 Celebrating the life of Hugh L. Wade, Jr.
Obituary for Hugh L. Wade, Jr.
SWOOPE – Hugh Love Wade, Jr., 79, of Swoope, died Saturday (February 9, 2019) in Augusta Health. Born November 24, 1939 in Fishersville, he was the son of Hugh Love Wade, Sr. and Dorothy (Sensabaugh) Wade Finch. Hugh was a 1957 graduate of Wilson Memorial High School and faithfully organized reunions for his class. He pursued civil engineering at V.P.I., and served in the U. S. Army National Guard. Hugh served as assistant manager for the town of Warrenton and was employed as an inspector for VDOT. He retired from Moffett paving in 2010 as a project manager. He attended Glossbrenner United Methodist Church, and was previously a very active member of Christian Fellowship Baptist Church. Hugh maintained a very full and active life. He was a member of the NRA; he enjoyed hunting, fishing and spending time with his grandsons; he was a devoted NASCAR fan and had his own dirt track car. He was preceded in death by his parents and a sister, Joan Elizabeth Wade. Surviving are his wife of 58 years, Candace “Candy” (Miller) Wade; two sons, H. L. Wade, III and wife Jill of Fort Defiance, and Philip Wade and wife Jennifer of Swoope; a brother, Larry Wade and wife Joyce of Staunton; three grandsons, Hugh Patrick Wade, Jaden Love Wade and Payton Anthony Wade; two nephews, Matthew Wade and wife Karen, and Mark Wade and wife Dana; one niece, Jennifer Cook and husband B. J.; and numerous extended family members in and around Rockbridge County. A funeral service will be held 2 p.m. Wednesday, February 13 in Glossbrenner United Methodist Church, officiated by Pastor Lester Kennedy. Burial will follow in Green Hill Cemetery. Active pallbearers will be Jeff Cale, Bill Duke, Jay Moffett, Scott Cline, Buddy Piner, Mike Calhoun, Matthew Wade and Mark Wade. Honorary pallbearers will be Julian Moffett, Jimmy Minter, Jerry Graham, John Riffo and Pastor Gary Hodges. The family is grateful for the dedicated care of the Augusta Health medical staff. Memorials may be directed to the Swoope Volunteer Fire Department, 697 Parkersburg Turnpike, Swoope, VA 24479; or to Glossbrenner United Methodist Church, 17 Buffalo Gap Hwy., Churchville, VA 24421. "Email Address" would like to share the life celebration of Hugh L. Wade, Jr.. Click on the "link" to go to share a favorite memory or leave a condolence message for the family.